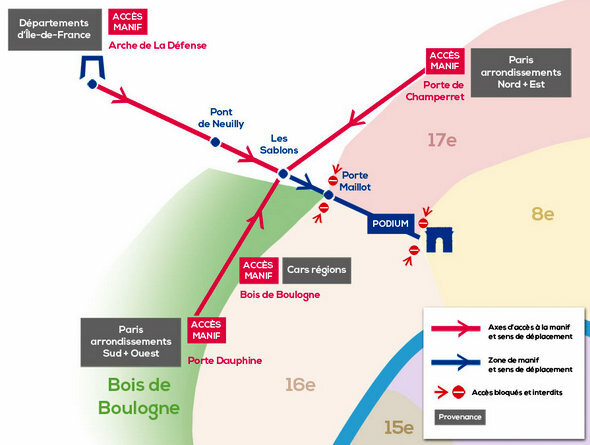 Paris Haters Announce New March Route - Joe.My.God. After losing their court battle to march down the Champs-Élysées, the anti-gay Demo For All group has posted the above revised demonstration route which tomorrow will converge from three directions at Les Sablons and finish at a stage at the Arc de Triomphe. Here’s Demo For All’s Frigide Barjot and her accomplices announcing the changes.